The auxiliary elements must also be modeled, their configuration within the BIM model must be coordinated with the planning and construction team. (Formwork and temporary supports, scaffolding, cranes, soil machineries and others). In this way, during the optimization process of the construction sequence (through 4D from the design phase) we reduce the possible omissions on the gantt chart, of auxiliary activities of great importance for the execution of the works on site. It even improves the forecast for circulation routes for the flow of personnel, materials, machinery and equipment, as well as areas of temporary storage of materials, and control of occupation of spaces between the different sub contractors. 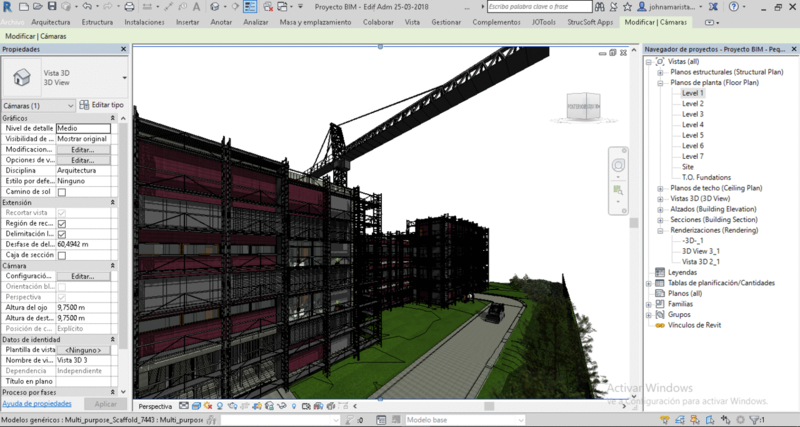 How BIM helped to collaboration?